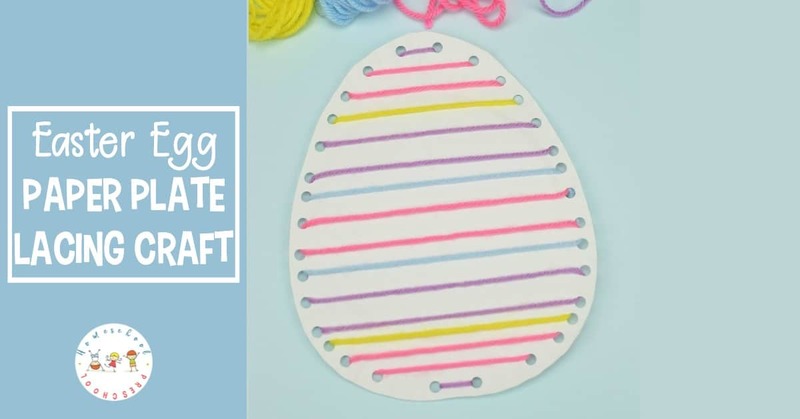 Lacing crafts are great for kids! 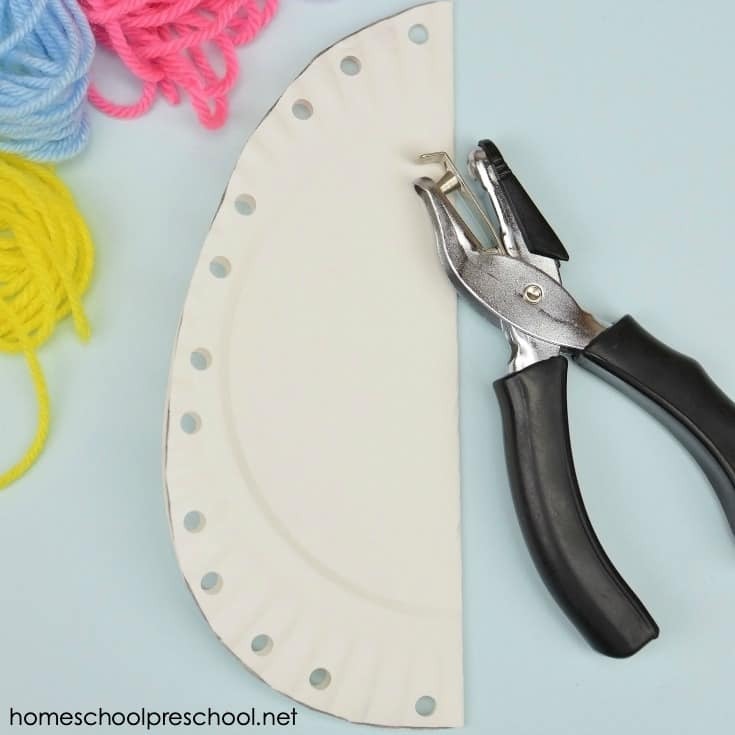 They will build fine motor skills as they complete this fun Easter egg paper plate craft for kids! 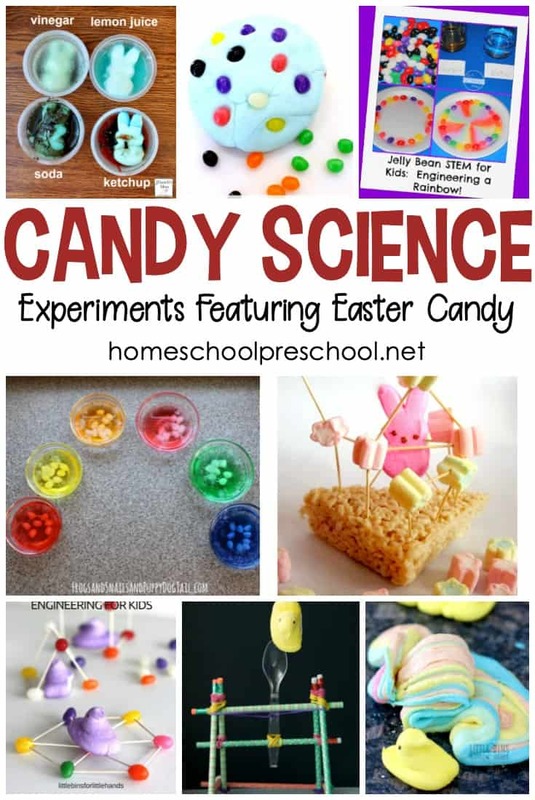 This preschool Easter craft is a great way to let your little ones get creative while building motor skills and hand-eye coordination. 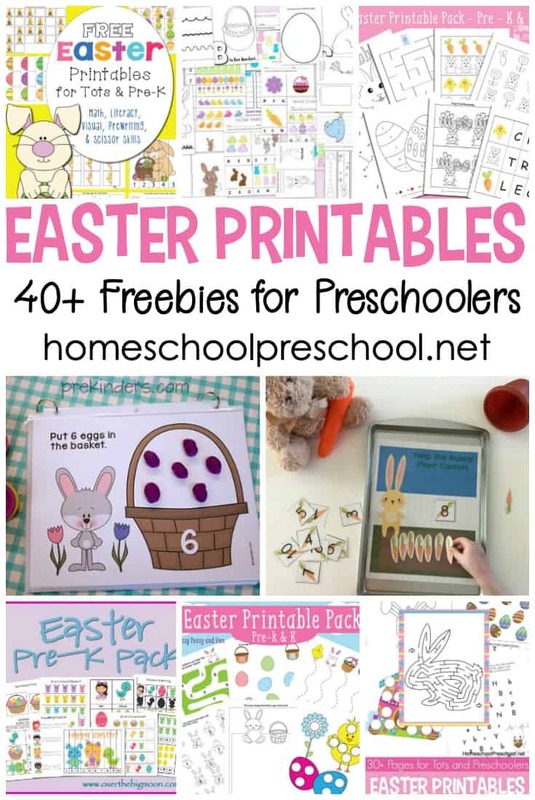 These paper plate Easter eggs will look great on display this holiday season! 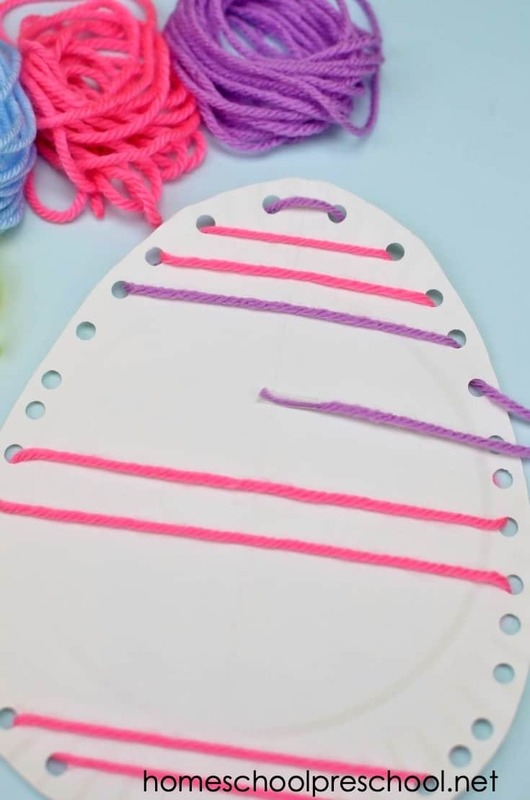 This activity is super easy to prep, and it provides lots of lacing and fine motor practice for young children. Even kids as old as 8-10 could benefit from this craft. To begin, fold the paper plate in half. Draw half of an egg shape across the fold. Cut out the egg shape and unfold. Using the hole punch, punch holes around the perimeter of the egg. This step may prove to be a bit difficult for young preschoolers. But, if they’re ready, this is a great activity for building hand strength. Choose which color yarn you’d like to start with. Wrap a piece of tape around the tip of the yarn to make lacing easier. Start on one edge, and lace it horizontally to the opposite side creating a stripe. Continue using each of the colors of yarn. 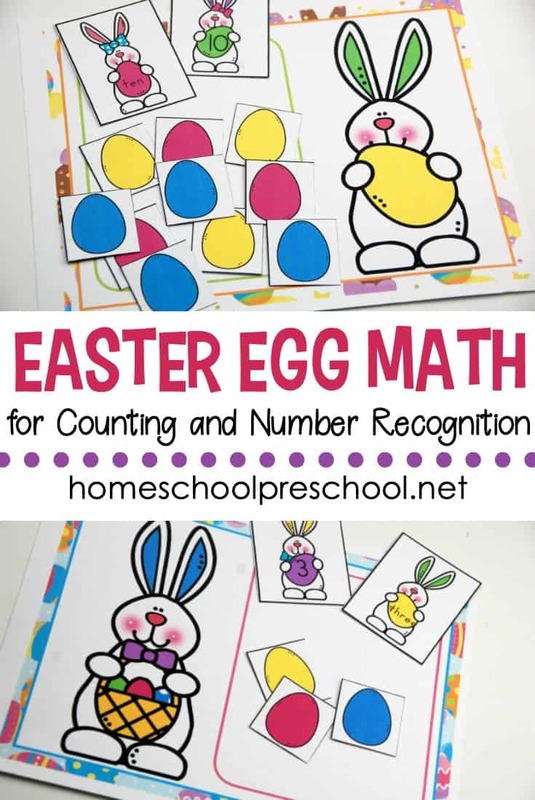 Kids can create patterns or choose colors randomly. Tie all loose ends on the back of the egg. Now, your egg is ready to display! 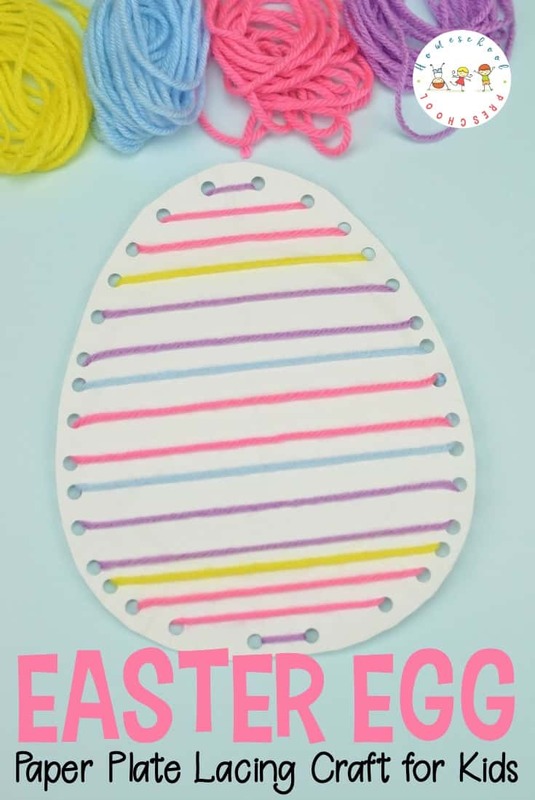 If you’re looking for a new craft to try this spring, don’t miss this collection of Easter crafts for preschoolers featuring chicks, bunnies, eggs, and more! I love Easter!